Are You A Property or Home Owner? of Moles and Voles, Leaving You With An Unsightly Mess? While moles and voles are unlike other pests – they aren’t known to cause structural damage to your home – they too cause their own damage and create other nuisances and frustrations for home and property owners. 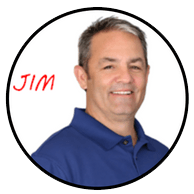 So, what would it be worth to you to have a professional, reliable and reasonable pest control company that could relieve your worries and frustrations, while dealing with your pest issue? But, if you don’t control your mole or vole issue(s), you could create a mess for yourself! moist lawn/yard, they’ll seek you out! plants, or flowers, even fruits or vegetable plants – Found in thicker areas with more ground cover – your garden or yard! …and these are messes you just don’t want to deal, or have time to deal with..right? Claims that can eliminate moles and voles once and for all – impossible. The goal and right communication from any company should be reasonable control because it’s an ongoing process. Call TermiGuard Services & Fenwick TODAY – we’ll provide you with the service you deserve, deal with your pest issues, and restore your peace-of-mind, all while treating you like a member of our family. If you have a mole or vole problem, don’t let it get out of control and leave you with an unsightly mess! 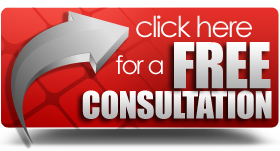 Call us NOW at (856)-753-1401 or (609)-601-9400, or click the button below to sign up for a FREE Consultation!